A lot of people can’t afford to buy a house in straight cash. This is the sad reality, especially for the minimum wage earners and the middle class. Because of this, there are lending institutions such as banks that offer housing loans to them, with interest rates and payment terms flexible and the borrowers can afford to pay for years. However, despite the affordability, there are still those who can’t and don’t pay their mortgages on time for various reasons. Failure to pay for few more months and your lending institutions will resort to legal process to take full authority of your home, also called as a foreclosure. Foreclosure process, as defined by USA Today Classified is the process in which a lender takes back possession on an unpaid property, in this case, home. Read the entire article below to learn more. If so, you, like thousands of others, probably have many questions. What can I expect? What types of penalties am I up against? How long do I have until I must leave my home? The foreclosure process can seem daunting. But in this article, we’ll detail everything you need to know about the process. In case you don’t know foreclosure is, first, let’s cover what it means. Foreclosure is the process in which a lender takes back possession of an unpaid property. When a borrower defaults on their mortgage payments, the lender will foreclose. Mortgage lenders put foreclosed properties up for sale. This is mainly a means to make back the money they’ve lost from the unpaid debt on the property. If you’ve fallen behind on your mortgage, you’re either in pre-foreclosure or foreclosure. So, before we delve into the foreclosure process, let’s determine where you are. Your lender can begin to foreclose on your property when you’ve fallen 90 days behind on your payments. But this varies. Most lenders go longer. Some will foreclose at the 90-day mark. If you have fallen behind on your payments, you should have received a letter from your lender. This letter should’ve notified you that you’re behind on your payments. It should’ve also warned you that they would file a Notice of Default. Already received a Notice of Default? If so, this indicates that the lender is making moves to foreclose on your property. You’ll have 90 additional days before the lender files a Notice of Trustee. Once your lender files the Notice of Trustee, your property will begin to foreclose. Haven’t yet received a Notice of Trustee? Still behind on your monthly payments? In fact, failure to pay mortgage successively for a couple of months makes your property in a pre-foreclosure state. The good thing though, is that there is still ample time to catch up on your loan payments and avoid total property foreclosure. 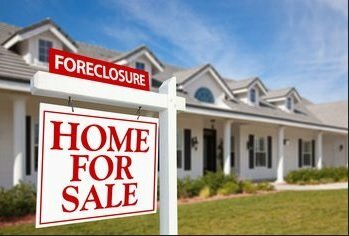 Amy Loftsgordon has written an article about the foreclosure process in Lawyers.com to fully understand the process, your options as well as your rights. If you find yourself facing foreclosure, you’ll want to understand the foreclosure process, your rights under federal law, and your loss mitigation options. If you breach your mortgage contract, the lender cannot simply evict you from the home and take possession of the property. The bank generally must sell the house through one of two foreclosure processes: a judicial or a nonjudicial foreclosure. Two states—Connecticut and Vermont—allow strict foreclosures, which is a foreclosure without a sale. In a strict foreclosure, a bank files a lawsuit to begin the foreclosure process. But if the bank wins the case, the court does not order a foreclosure sale. Instead, the court transfers the home’s title directly to the foreclosing bank. A judicial foreclosure is available to lenders in every state and begins after the lender files a lawsuit in the court. Once served, the homeowner can respond to the suit. The case then goes through the normal litigation process and, if the court decides that the foreclosure is proper, the home is eventually sold at a foreclosure sale. By contrast, nonjudicial foreclosure is not available in every state—and a court is normally not involved in the process. Instead, the lender must follow a series of steps that vary from state to state, such as mailing a notice of default to the borrower and providing the borrower with a certain amount of time to bring the loan current. The property will be offered at a foreclosure sale after the lender completes all state requirements. Federal law protects homeowners facing foreclosure. Here are examples of laws that might give you time to bring your loan current, strengthen your financial situation, or help you avoid foreclosure altogether. the borrower fails to do what’s required by the loss mitigation agreement. Remember that while lending institutions like banks have the legal authority to seize ownership of your home for failure to pay the mortgage, but it doesn’t mean that you are left without rights and options. As the homebuyer, it is important to know the legal ways to avoid losing a house through foreclosure. Throop Law posted an article on their website about every homeowner’s rights during a foreclosure process. Every property owner has certain legal rights when going through a foreclosure. The borrower must receive a copy of the advertisement for the foreclosure sale at least two weeks before the date. After the property is foreclosed, the owner has 240 days to redeem the property by paying its purchase amount plus six percent interest. 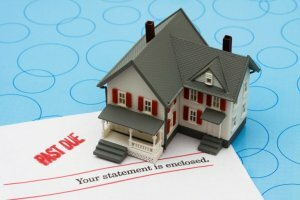 Bankruptcy and foreclosure are both legal processes that are typically connected in a few ways. Bankruptcy is a status that is declared when a home or business owner cannot pay back debts. Foreclosure is the process of recovering a debt by initiating a forced sale of the property. A property owner who files for bankruptcy can stall or prevent foreclosure. This is possible if the paperwork is filed on time and long before the sale. The bankruptcy process could take several months to be approved. Facing house foreclosure is tough for every homeowner. You might end up losing your asset and get evicted from your own house. However, never forget that homeowners also have rights during the foreclosure process. There are legal ways for them to get back the full authority of their homes and avoid foreclosure. If you’re currently facing foreclosure and want to sell your house fast, we at Dependable Homebuyers can help you sell your house fast despite it on the verge of foreclosure. Visit our website https://www.dependablehomebuyers.com/ to learn more.